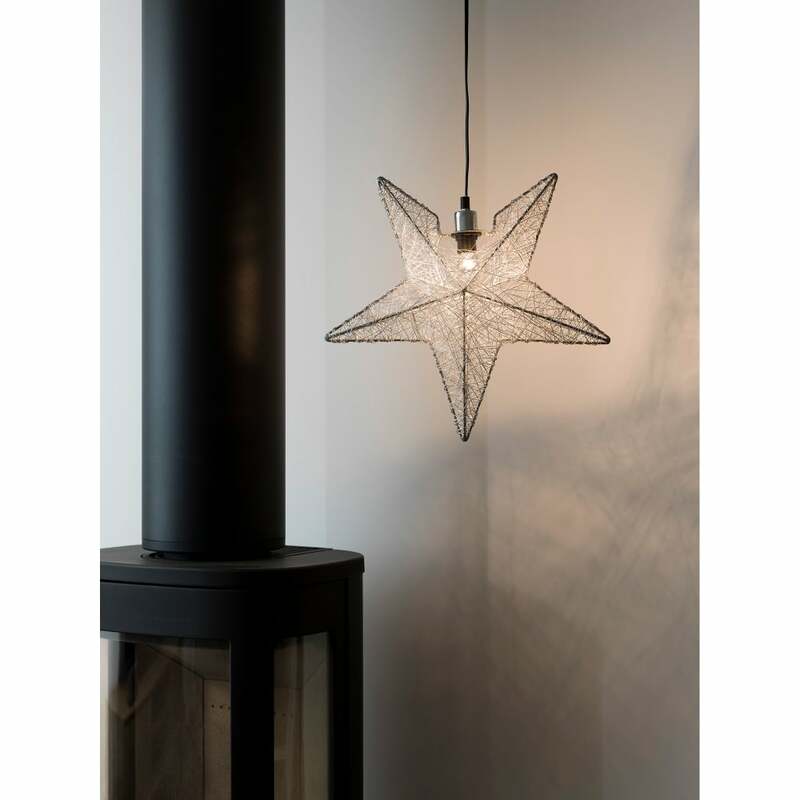 Konstsmide silver star light detailed with an abundance of wire mesh forming the framework and body of the star design. A single light illuminates this suspended light which comes complete with a 3 pin plug. A uique and modern Christmas decoration addition to your home this festive season. This product code is 3555-300. Mains operated and suitable for indoor use only. Also available in copper or brass.